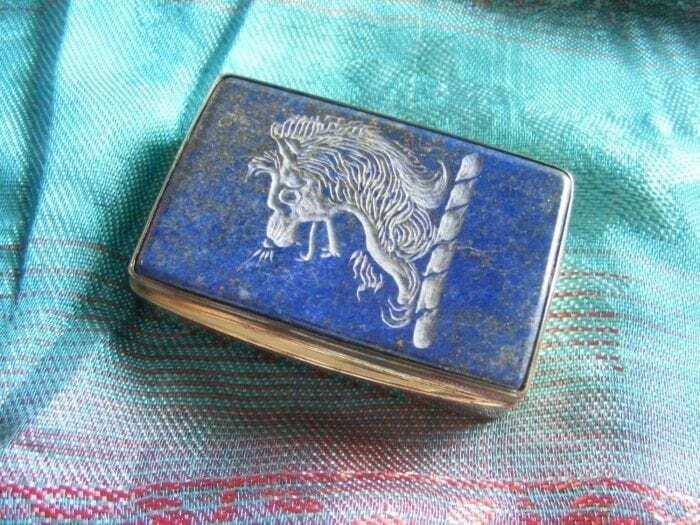 STERLING SILVER LAPIS SNUFFBOX UNIQUE WITH FABULOUS LAPIS LAZULI SOLID ENGRAVED lid WITH A SITTING FAMILY CREST LION. 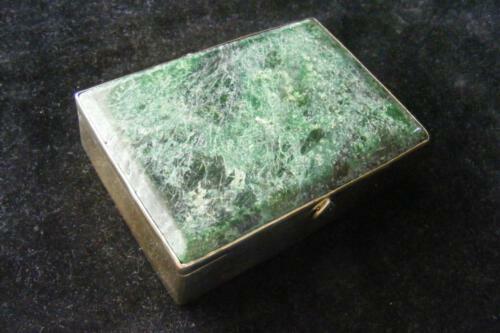 A beautiful European style snuff box. 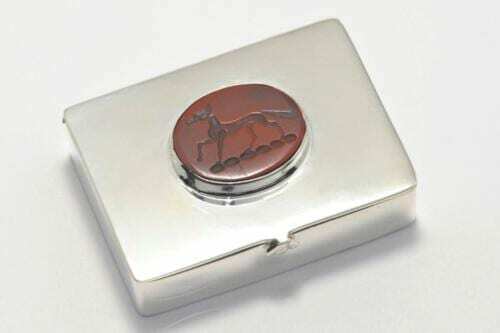 No need to use for snuff! 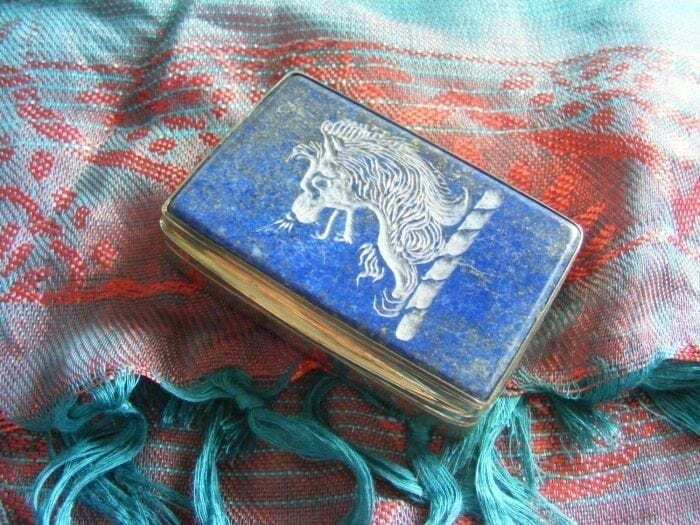 Good for postage stamps too! 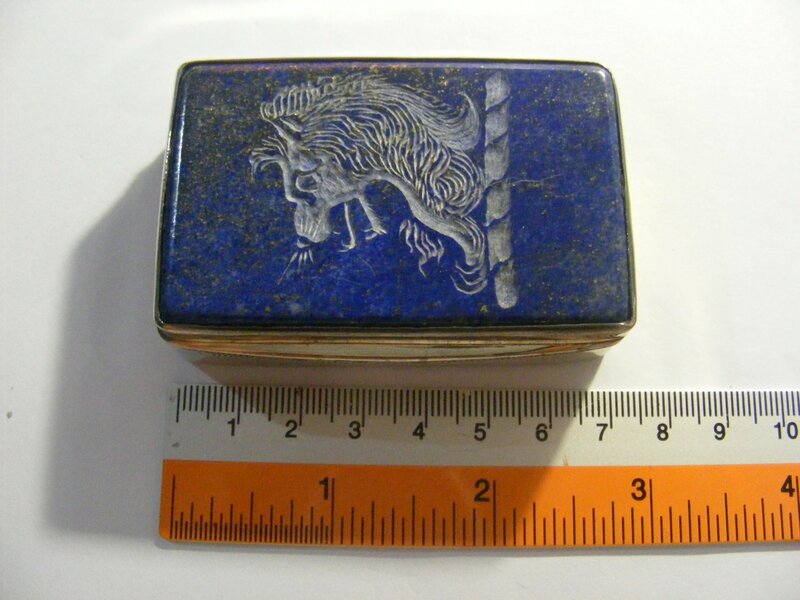 A fine object brand new, delivered to you in it’s own blue and silver snuffbox presentation case. 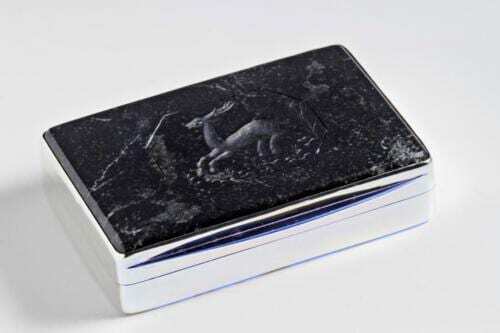 A good investment and a fine useful treasure for the coming generations. 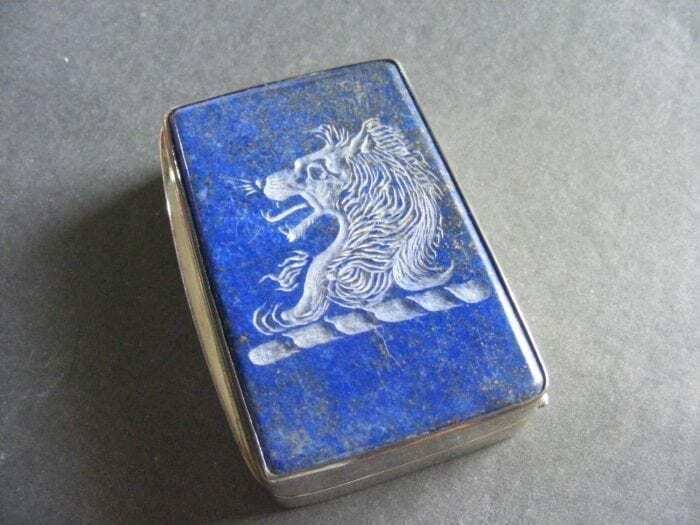 This snuffbox has been assayed and stamped with our mark at the London Assay office. A useful and gracious gift. 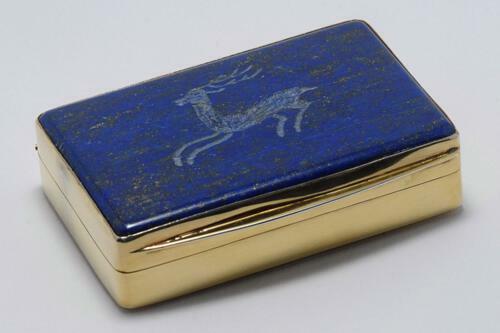 The snuffbox measures approximately 70 x 45 x 15 mm (2 3/4 x 1 3/4 x 19/32 inches) and open back. 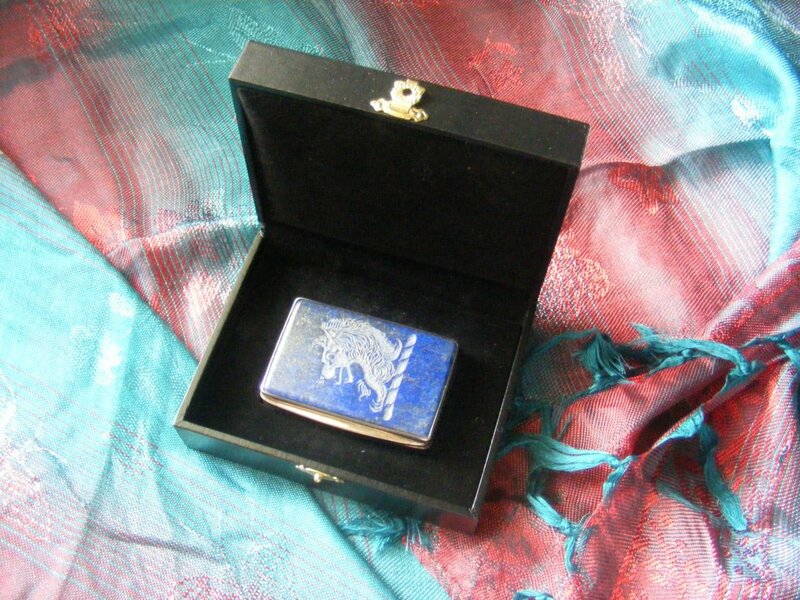 We are offering great value, solid hallmarked sterling silver with genuine lapis lauzli.